Youngzine welcomes contributions from young readers for the U Write section. You can write on anything you want: Movie / Game / Book reviews, travelogues, short stories, poetry, or any general topic. This is your chance to share your creative talents with other young readers, and win lots of points at the same time! You will see four categories of articles in Youngzine’s UWrite section. This is your art corner, where you can share a photo of a drawing or any other hand-made work of art that you are proud of – a crochet, or a video of a cool science experiment you built. Please check with your parents first before you send us videos. As the category indicates,this section is dedicated to poetry. We have received some amazing poetry from young readers over the last few years that we felt it deserved its own category. This is our non-fiction section, where we publish any non-fiction, movie/game/book reviews, or travel experiences you send us. Please remember to keep your article to under 500 words. As the category indicates, this is where you share a creative story. We have seen such amazing storytellers among our readers in the past few years. We accept stories up to 1500 words in length – however, it is your responsibility to break it into 3 parts of 500 words each. We will publish the three parts over three weeks. Please send your UArt, UPoetry, UReport or UStory to us at editor@youngzine.com. We will review it and let you know if it is accepted for publication. 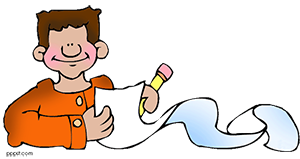 Check out our UWrite section to see what others have written, and get those creative juices flowing! !